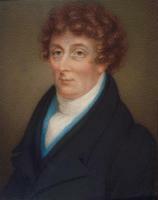 ROBINSON, JOHN BEVERLEY, sportsman, army officer, lawyer, businessman, politician, and office holder; b. 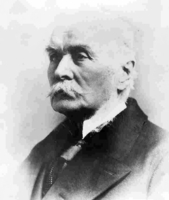 20 Feb. 1820 in York (Toronto), Upper Canada, second son of John Beverley Robinson* and Emma Walker; m. there 30 June 1847 Mary Jane Hagerman, and they had three sons and two daughters; d. 19 June 1896 in Toronto. Like his father, a dominant figure in Upper Canada’s history, John Beverley Robinson showed an inclination towards public life. However, unlike his father, he relished the rough-and-tumble of politics. Between 1830 and 1836 he had attended Upper Canada College, where he was more renowned for his skill on the cricket field than with the classics. An avid sportsman throughout his life, he was a member of the first Canadian cricket team to face an American side. Reputedly Toronto’s best boxer in his day, Robinson inaugurated the Toronto Athletic Club in 1891 and served as its president until 1895. In December 1837, during the rebellion, he was an aide-de-camp to Sir Francis Bond Head*. After the rebel defeat, he was given the task of carrying dispatches to Washington. Upon his return, he served with the British army as a lieutenant at Sandwich (Windsor) for a year. He subsequently took up law, articling with Christopher Alexander Hagerman* (whose daughter he married) and later with the firm of James McGill Strachan* and John Hillyard Cameron*. He was called to the bar in 1844. 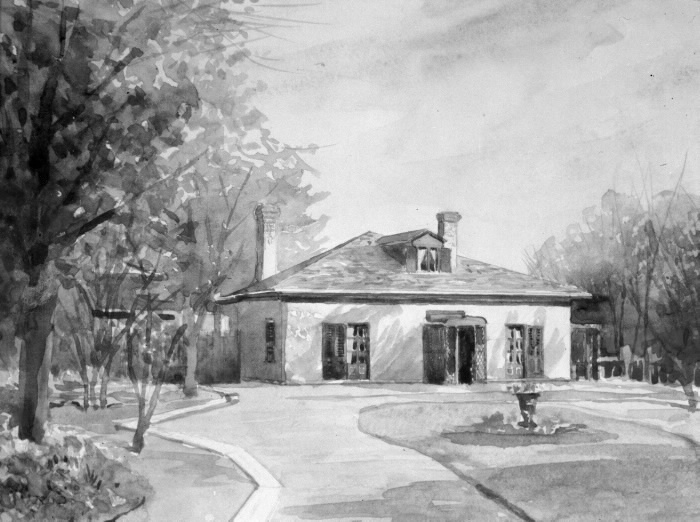 Through his family, his clerkship, and his marriage, he was intimately connected with families of wealth and influence in Upper Canada. Yet he was too free spirited to follow the dictates of his famous father. In February 1845 his brother Christopher* noted in his diary that when John had come home drunk, “my father told him he must go.” Striking out on his own, he entered the trading business, first with his uncle William Benjamin Robinson* in Newmarket, but by 1850 he had returned to law. However, the promotion and running of railways came to dominate his activities. In 1850 Robinson, Strachan, Cameron, and others formed a committee to get the city of Toronto to invest £100,000, in lottery tickets by means of debentures, in the projected Ontario, Simcoe and Huron Union Rail-road (later renamed the Northern Railway). Devised by Frederick Chase Capreol*, the scheme was decisively rejected in a public referendum. 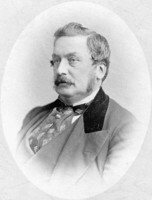 Robinson’s involvement in business eventually led him into civic politics: in 1851, 1853–54, and 1856–57 he was an alderman for St Patrick’s Ward. It was axiomatic among politicians such as Robinson that railways meant prosperity. In 1851 he proposed a municipal grant for the Toronto and Guelph Railway, which was taken over by the Grand Trunk two years later. 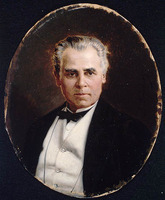 In 1853–54, when chairman of the city council’s standing committee on railways, he resented the influence wielded provincially by the Grand Trunk contractor Casimir Stanislaus Gzowski and the possibility that the line from Toronto through Guelph to Sarnia might not be built. It was the Ontario, Simcoe and Huron, however, that became his principal interest: it could be the key to connecting Toronto to Georgian Bay and the trade from the American west. In 1854 he saw that council voted a bonus for the railway, and he was appointed the city’s director on its board. For the next 25 years he would be an enthusiastic promoter of the Northern and, from 1862 to 1875, its president. In 1856 Robinson was narrowly elected mayor by his fellow members of council. Consistently on the side of development, he backed the construction of a public waterworks and the purchase of land for a jail and an industrial farm. Though the city had cancelled Gzowski’s contract to build a waterfront esplanade, Robinson favoured such a project. When he attempted to retain the mayoralty in 1857, he faced accusations that the old “family compact” was trying to hold onto power. After a flurry of manœuvring, he lost re-election by one vote, but he remained on council, where he continued his pro-development stance. 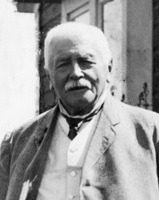 He backed Kivas Tully*’s plan to link Georgian Bay and Toronto by means of a canal (of which Robinson was a provisional director), but council would not finance such an ambitious scheme. 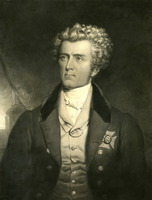 During his first years in parliament, Robinson was forced to walk a fine line between his support for the Macdonald–Cartier government, which was largely sustained in power by Lower Canadian Bleus, and his support for the interests of Upper Canada, which were often at odds with ministry policy. Robinson therefore was forced to take positions similar to those of Brown on such popular issues as representation by population – they both favoured it – if he wished to survive in politics. Generally, however, he confined his comments to issues affecting Toronto. To help it get out of the depression of the late 1850s, he urged a further grant to the Northern Railway as “the only thing calculated to revive languishing commerce in Toronto.” On one divisive issue facing the ministry, in 1859, he was caught between two loyalties. The question of Canada’s future capital had been referred to Queen Victoria and, to the annoyance of larger cities such as Toronto, she had selected Ottawa. Robinson was expected to support the queen’s (and hence the ministry’s) choice but he was also expected to defend Toronto’s interests. In the end he emphasized that the decision had been made by the crown and that refusing to accept it would border on disloyalty. 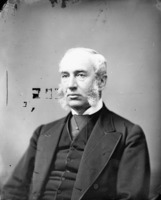 In the 1861 election Robinson’s Liberal opponent in Toronto West, Adam Wilson, a former alderman who had opposed the railway interests in council, tried to show him as one of John A. Macdonald’s passive tools and a false advocate of “rep by pop.” Robinson turned the debate away from that issue, portraying the Liberals as intent upon breaking up the union of the Canadas and thereby leaving the upper province vulnerable to annexation by the United States. He was handily elected. His political success might also have been due to his recent part in a major sale of crown land. By January 1859 he had become the solicitor for the Canada Agency Association, which had been authorized to sell 439,000 acres in present-day Haliburton County. He travelled to England a number of times to arrange the sale of these lands to a group of capitalists there. When, in the fall of 1860, one of the major investors pulled out, Robinson hastily went back to England to reorganize the group, which became the Canadian Land and Emigration Company. This one sale (almost three times the size of all other crown land sales for 1860 combined) earned him the praise of the commissioner of crown lands, Philip Michael Matthew Scott VanKoughnet*. Robinson’s connection with the association and the land company was broken off in 1861, however, after a disagreement over his legal fees. 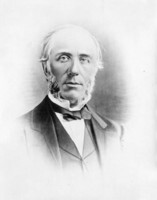 Perhaps as a reward for the crown lands sale or in recognition of the importance of Toronto’s Conservatives, Robinson was named to the cabinet as president of the Executive Council on 27 March 1862. In the caustic but not inaccurate opinion of the Globe, he became the local “dispenser of Government favours.” However, he served for less than two months, for the ministry fell on 21 May. By the time of the 1863 election, Robinson’s fortunes had declined along with those of his party. It was condemned for selling out to Catholic demands for separate schools, and Robinson had not deflected criticism from himself by being absent from the vote on the Separate School Bill in March [see Sir Richard William Scott*]. He was defeated that summer. But his contacts were still strong enough to gain him in 1864 the lucrative post of city solicitor for Toronto, a position he would hold until 1880. After his political defeat, Robinson devoted himself to his law practice and his businesses. He started a loan company, which became the Western Canada Building and Loan Association, and invested in the building of one of Toronto’s foremost hotels, the Rossin House. In 1872, when it appeared he might be the Toronto Conservatives’ federal candidate, he fled to Sault Ste Marie. 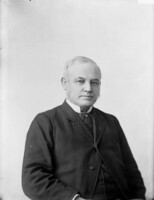 However, the tories there, dissatisfied with their member, Frederic William Cumberland*, the general manager of the Northern Railway, thought of him as their candidate for Algoma. Well known for his mining enterprises in the district, he was urged to accept the nomination “on behalf of the Northern Railway,” which, through Cumberland, promised to pay his campaign expenses. He accepted and was elected. In 1874 he chose to run again in Toronto West but was defeated by incumbent Thomas Moss* in the débâcle of the Macdonald government following the Pacific Scandal. Returned in a by-election in November 1875, he remained unobserved on the backbenches until 1877, when a royal commission into the Northern Railway questioned its payment of his 1872 election expenses. In defence of the railway’s liberality, Robinson explained that he had got it a municipal grant of $200,000. That he stood to gain directly from this grant did not seem to cause him any uneasiness, nor did it bother the voters. In 1878 he was easily re-elected, proving himself to be one of Ontario’s most durable and popular tories. Nevertheless, except for the brief period in 1862, he did not serve in Macdonald’s cabinets. One reason may have been his intimate connection with railways and Macdonald’s fear that his ministry could not withstand any more railway scandals. Another problem was Robinson’s combative personality. Yet he remained a conduit for patronage to the Toronto area. He finally received his reward with his appointment as lieutenant governor of Ontario in 1880. Robinson spent his years in vice-regal office concerned with matters of protocol and, ironically enough, representing the views of the Liberal government of Oliver Mowat* to the Conservative administration in Ottawa. In 1887 he retired to his Toronto home on College Street, near University Avenue, Sleepy Hollow, which, fittingly, overlooked the city’s cricket grounds. Robinson’s influence had always been in business and politics related to Toronto. His death was a dramatic punctuation to a life spent in the tory cause. 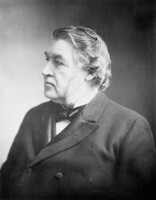 In 1896 Prime Minister Sir Charles Tupper* was desperately trying to hold off the resurgent Liberals. He called a meeting at Massey Music Hall for 19 June and Robinson, now the old war-horse of the Toronto tories, was invited to speak. A large, hostile crowd gathered around the hall and hooted at the arriving dignitaries. Robinson, who retired to an ante-room before giving his speech, suffered a sudden stroke and died just as the meeting began. AO, MS 4; MU 469, Robinson to Macdonald, 17 July 1871; MU 472, Robinson to Campbell, 19 Nov. 1878; MU 479, Z. A. Lash to Campbell, 17 May 1889; Campbell to Robinson, 6 Feb. 1892; RG 24, ser.5. MTRL, Robert Baldwin papers, Scadding to Robinson, 8 Oct. 1856. NA, RG 31, C1, 1851, 1861, 1871, Toronto. Can., House of Commons, Debates, 1877. The rebellion of 1837 in Upper Canada: a collection of documents, ed. C. [F.] Read and R. J. Stagg (Ottawa, 1985), 140. Globe, 1851–63, 11 Sept. 1878, 20 June 1896. Leader (Toronto), 1857. Toronto World, 20 June 1896. Canadian directory of parl. (Johnson). Chadwick, Ontarian families. Dent, Canadian portrait gallery. Roll of U.C. College (A. H. Young), 518. B. [D.] Dyster, “Captain Bob and the Noble Ward; neighbourhood and provincial politics in nineteenth-century Toronto,” Forging a consensus: historical essays on Toronto, ed. V. L. Russell (Toronto, 1984), 95; “Toronto, 1840–1860: making it in a British Protestant town” (phd thesis, 1v. in 2, Univ. of Toronto, 1970), 302. Julia Jarvis, Three centuries of Robinsons: the story of a family (rev. ed., [Toronto], 1967), 170–74. D. B. Read, The lieutenant-governors of Upper Canada and Ontario, 1792–1899 (Toronto, 1900). Robertson’s landmarks of Toronto, 3: 392. C. W. Robinson, Life of Sir John Beverley Robinson, bart., C.B., D.C.L., chief-justice of Upper Canada (Toronto, 1904). V. L. Russell, Mayors of Toronto (1v. to date, Erin, Ont., 1982– ). Patrick Brode, “ROBINSON, JOHN BEVERLEY,” in Dictionary of Canadian Biography, vol. 12, University of Toronto/Université Laval, 2003–, accessed April 21, 2019, http://www.biographi.ca/en/bio/robinson_john_beverley_12E.html.